1. 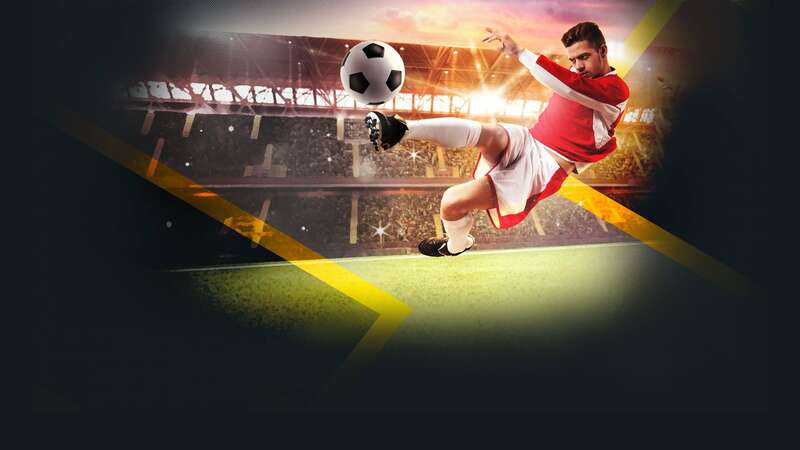 This promotion is only for first time (NEW) players, who register an account with Evobet. 2. Once the player registers an account, he needs to place his first deposit (MIN: 200SEK). Once this is complete, player needs to contact Customer Support via Live Chat or email (support@evobet.com) to claim his 100% SBOOK WELCOME BONUS. 3. Only players that came from one of the following sites will be eligible for this offer: bettingsidor.se, bettingsidor.com, spelsidor.se, speltips.se. Evobet reserves the right to deny this offer if player doesn’t have the proper “tag”. You are strongly advised to contact Customer Support BEFORE your deposit to ensure you’ re eligible for this offer. Players can only benefit from this bonus ONCE and ONLY on their first deposit. 4. Welcome SBOOK Bonus is subject to wagering requirement of ten (10) times the Bonus amount + the Deposit amount on minimum odds of 1.90 before attempting any withdrawal. Any bets placed on odds less than 1.90 will not count towards wagering. We hold the right to void such bets and forfeit any winnings from them. For "Multiple" bets, all of the selections must be at least odds of 1.90. 5. Maximum Bonus amount is 1500SEK. 6. "System" and "Chain" bets will not be counted towards wagering requirement. 7. Bets on Baseball, Tennis, Handicap or Draw no Bet will not be counted towards wagering requirement. We hold the right to void such bets and forfeit any winnings from them. 8. Any kind of similar bets will not be counted towards wagering requirement. 10. If player wishes to make a withdrawal before he manages to fulfil the wagering requirement, funds and generated winnings from the Bonus wagering will automatically be deducted. 11. This Bonus cannot be used in conjunction with any other promotion. 12. By accepting the bonus, the player automatically accepts the terms and conditions of the bonus credited. 13. Any attempts to manipulate or abuse this or any other promotion will not be tolerated and will lead to immediate exclusion from this and future promotions and/or account closure. 15. Only 1 person per household, IP Address, MAC address may claim the registration bonus. Other household members may still register and be eligible for other bonuses and promotions. 16. Players may be required to produce identification documents (KYC) to validate their identity. Failure to produce documents if requested may lead to forfeiture of bonus and/or winnings. 17. Evobet reserves the right to modify or discontinue, temporarily or permanently, this promotion with or without prior notice. 18. In case of a dispute, the decision by Evobet is final.